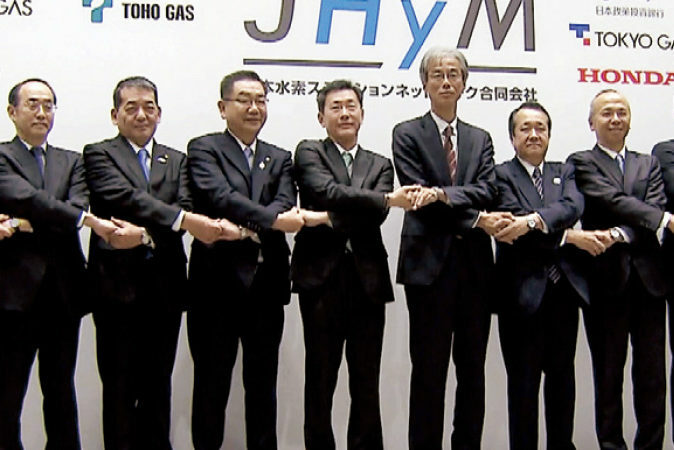 The government is working on the development of hydrogen as a next-generation energy source. In order to build a social system that utilizes hydrogen, the government designed a policy to support the development of hydrogen supply infrastructure by promoting Fuel Cell Vehicles (FCV) in the Hydrogen Fuel Cell Strategy Roadmap and Hydrogen Basic Strategy. Under these circumstances, private companies, such as infrastructure operators, automobile manufacturers, financial institutions and other stakeholders involved in developing and operating hydrogen stations decided to cooperate. 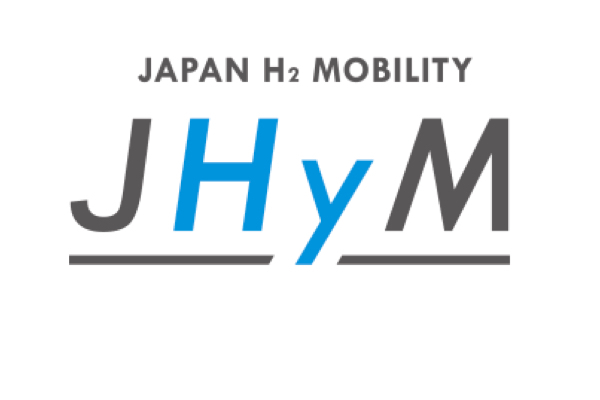 In February 2018, the Japan Hydrogen Station Network Joint Company (Japan H2 Mobility, abbreviation: JHyM) was established. 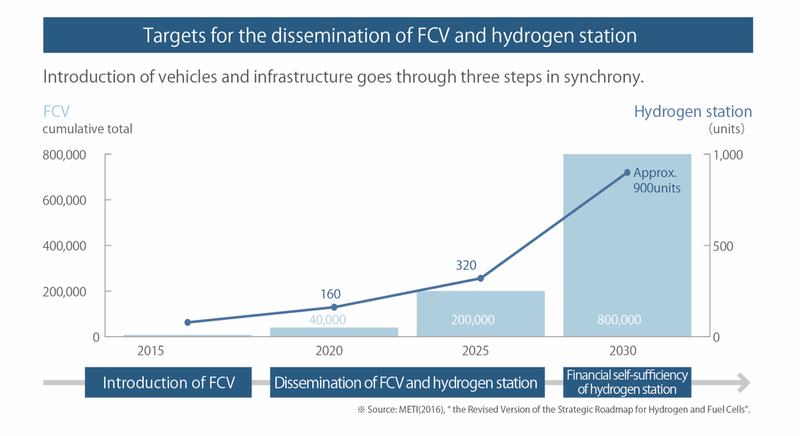 To accelerate the full-scale development of hydrogen stations in the early stage of FCV dissemination, we will improve convenience for FCV users and contribute to accelerating the broad adoption of FCVs and hydrogen stations. 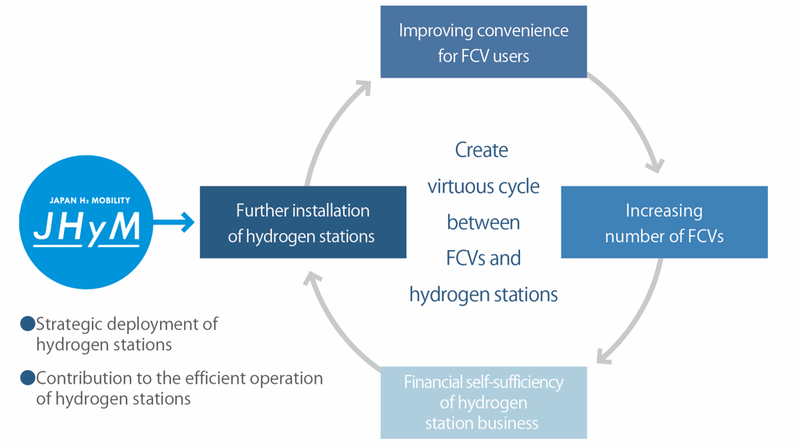 To accelerate the full-scale development of hydrogen stations in the early stage of FCV dissemination, JHyM will improve convenience for FCV users and contribute to accelerating the broad adoption of FCVs and hydrogen stations. Currently, the hydrogen station network has begun to see more extensive use in the four major metropolitan areas. From here, we will further extend our network nationwide, from point to line and from line to plane. 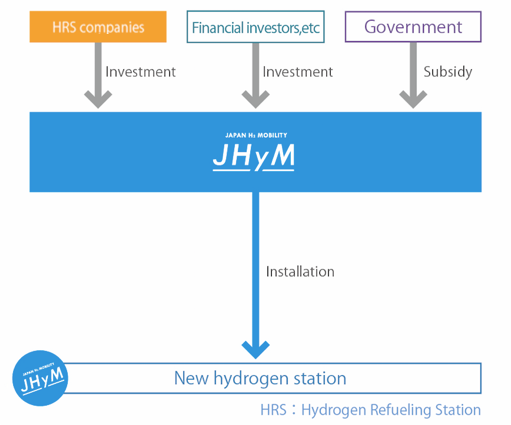 JHyM develops and maintains hydrogen stations. It collects hydrogen station maintenance and operation information and effectively utilizes that information. Thus, it contributes to the efficient operation of hydrogen stations. 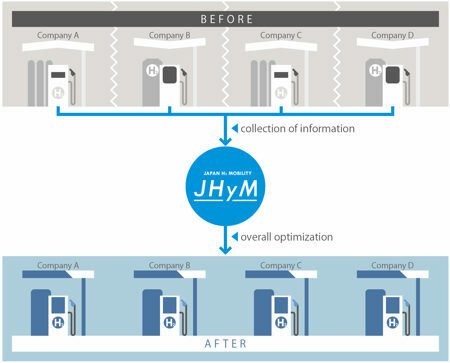 JHyM aims to improve convenience for FCV users by collecting information from each hydrogen station and optimizing operations by expanding the number of business days for hydrogen stations as the number of FCVs increases, etc. By collaborating with external organizations such as industry associations, we aim to reduce cost through the standardization of hydrogen station equipment and systems and the easing of regulations, etc. infrastructure companies the business schemes as below. In addition to subsidies from the Ministry of Economy, Trade and Industry’s “Hydrogen Supply Facility Installation Project for Fuel Cell Vehicles,” it is possible to reduce the initial investment involved in hydrogen station installation by utilizing investments from financial investors. In addition to subsidies from the Ministry of Economy, Trade, and Industry’s “Fuel Cell Vehicle New Demand Creation Activity Support Project,” infrastructure operators can utilize outsourcing expenses from JHyM. 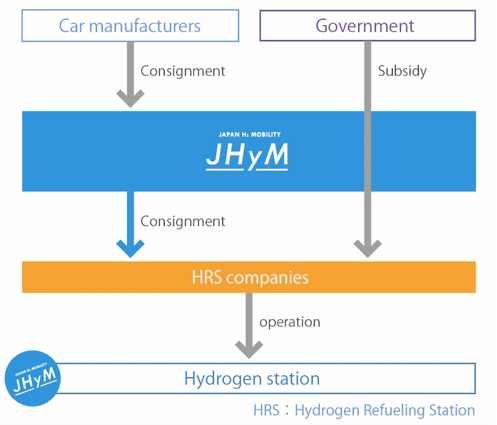 Furthermore, the participating infrastructure operators can utilize outsourcing expenses by contracting a part of the hydrogen stations constructed prior to the establishment of JHyM. Through this, we can enjoy the long-term operational support environment of the hydrogen stations. Furthermore, we have a burden mitigation system for hydrogen station installation for small and medium-sized enterprises. Regarding the initial costs related to hydrogen station installation, we will encourage small and medium-sized enterprises to enter the hydrogen station business by investing more money than usual. 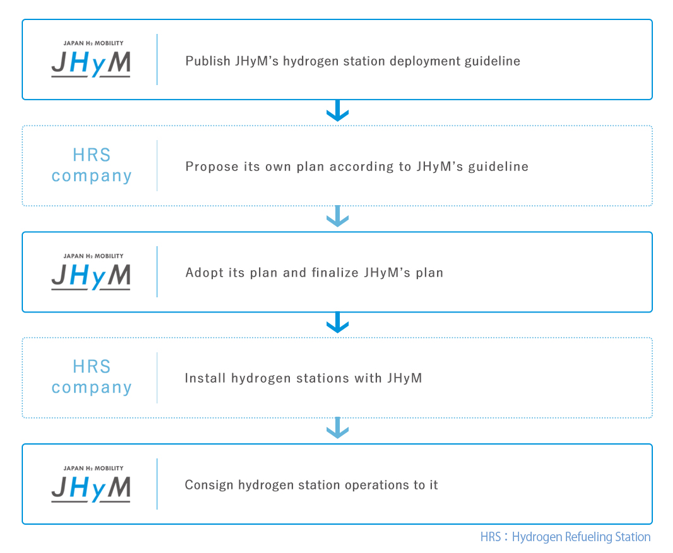 Each infrastructure provider should individually submit an installation plan according to JHyM’s Annual Hydrogen Station Development Planning Policy formulated for each fiscal year. Regarding approved plans, the infrastructure provider and JHyM will jointly apply for subsidies. The infrastructure provider will handle construction. After completion, JHyM will own the station while the infrastructure provider’s brand operates it. Considering the following two points, we aim to install a total of 80 hydrogen stations by the end of March 2022. To dramatically expand the use of FCV, we aim to optimize the arrangement of hydrogen stations to maximize FCV demand and ensure supply capacity that can meet the hydrogen demand. 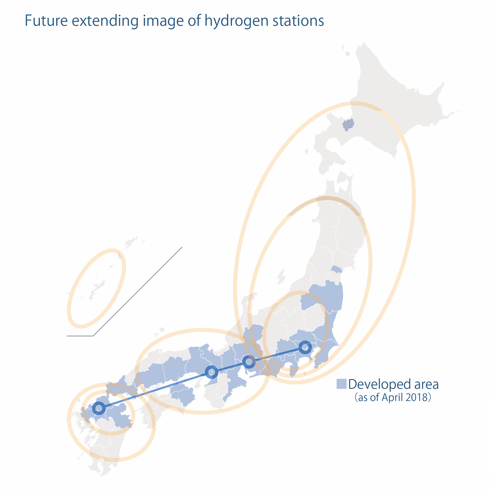 Focusing on the strategic locations in major cities and critical points of transportation, the strategic deployment of the hydrogen station network is commencing from the four major metropolitan areas and expanding from point to line and from line to plane with the objective of improving user convenience and expanding hydrogen mobility.